We've had the best time learning about Ancient Greece in the weeks leading up to the Olympics. Over the past month or so I started stocking up on books and other supplies to make our learning comprehensive, but fun. 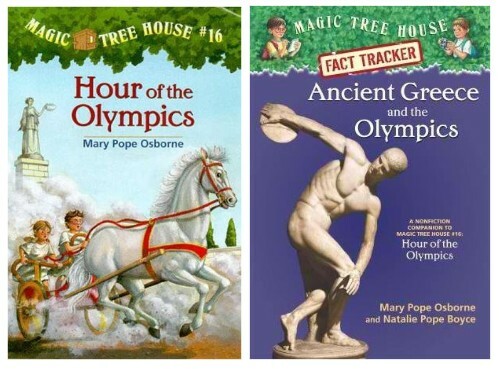 We started off re-reading the Magic Tree House book #16 Hour of the Olympics, and followed it up with the MTH Research Guide: Ancient Greece and the Olympics. Both books were the perfect introduction to Ancient Greece. Of course, we enjoyed the way Mary Pope Osborne tells a good story filled with educational information to make learning fun. Definitely two must-reads. 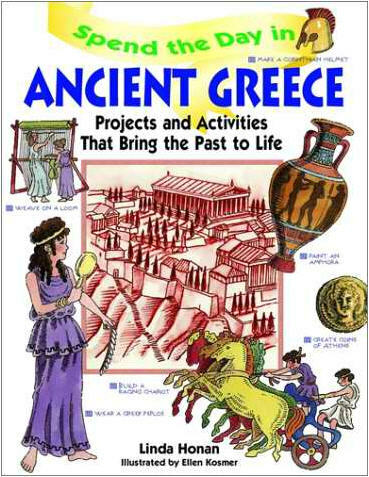 But for my kids, there's nothing like hands-on activities and we found gold in Linda Honan's book, Spend the Day in Ancient Greece: Projects and Activities that Bring the Past to Life. The story is about a day in the life of an Athenian family some 2,000 years ago. My kids loved learning about 12-year-old Alexander and his 10-year-old sister, Helen. There are 11 chapters in the book and each one features two or three short stories accompanied by a craft. From chitons to chariots, hydrias to water clocks, this book does a superb job of immersing your child in the lifestyle of Ancient Greece. 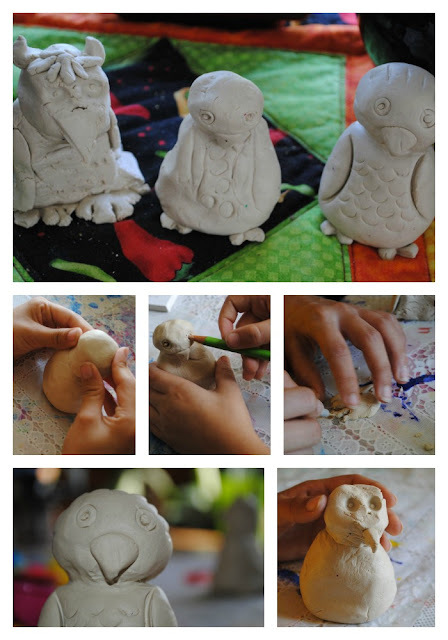 But I think their favorite craft was making this clay owl, the bird most closely associated with Athena. I love their individuality! Stay tuned! We have more Olympic goodness coming up this week!